For Judas who walked away from the Passover, into his own passion for something other than he’d been offered, who left the Light of the world at the table of communion, it was dark. For Pilate who came face to face with Truth and didn’t recognize Him, who asked the questions but could not grasp the answers, who washed his hands of the only One who could cleanse his heart, it was dark. For the Jewish leaders and authorities who refused to believe and accept the one sent from God the Father, who were determined to go their own way, work their own agenda, it was dark. 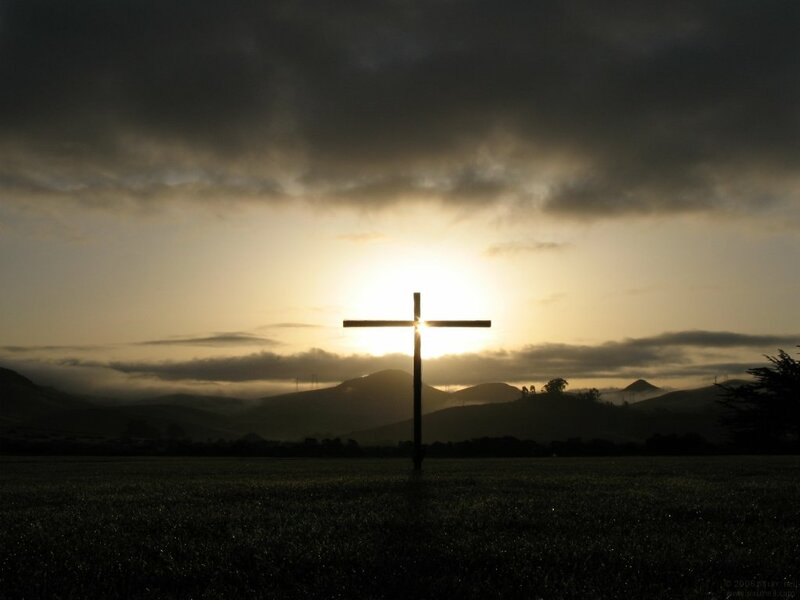 For the eleven disciples and others who loved Him, who saw Jesus arrested, convicted and crucified, who did not understand the plan of God, it was the darkest of nights. Jesus came to bring light, but for a while it seemed the light had been extinguished forever. Those who hoped He was their promised Messiah were left in their own prison of darkness. Judgment must come. Sentence would be passed and punishment meted out. The prince of the world would be cast out. Darkness veiled the earth for a time. Those who will not believe, who choose to worship something other than the Christ, remain in the darkness still. Resurrection day will come at break of dawn. The Light of the world will arise and shine once again. His glory will be revealed throughout the world. Those who accept the Son and the Father who sent Him, will walk in the light of day. And we will never be afraid of the dark again. As we approach the day the Christian community calls Easter, it would behoove us to remember how we got to this place. The Day of Resurrection is a celebration of life. Jesus’ life. And the offer of life to whosoever will receive it. This is an astounding invitation. And a completely unequaled exchange. My debt paid by Him who had none. His righteousness becoming my righteousness. His inheritance shared with me. His death bringing me, the broken, sinful one, a new lease on life. Present grace and future glory. All because of a cross, a grave, an empty tomb, and a Love that would rather die than live without me.